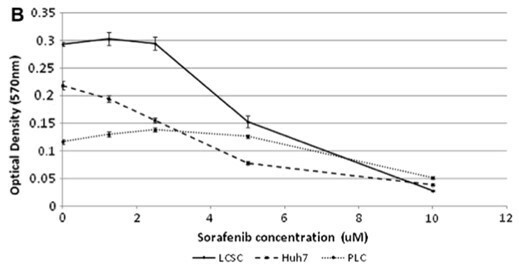 Sorafenib monotherapy on inhibition of LCSC, Huh7, and PLC cells (MTT assay). Liu L, Cao Y, Chen C, et al. 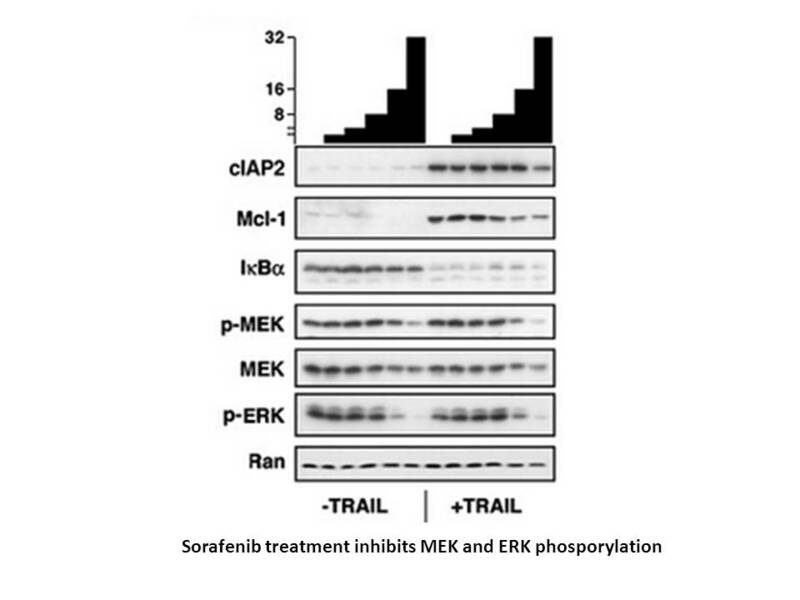 Sorafenib blocks the RAF/MEK/ERK pathway, inhibits tumor angiogenesis, and induces tumor cell apoptosis in hepatocellular carcinoma model PLC/PRF/5. Cancer research, 2006, 66(24): 11851-11858. 1. 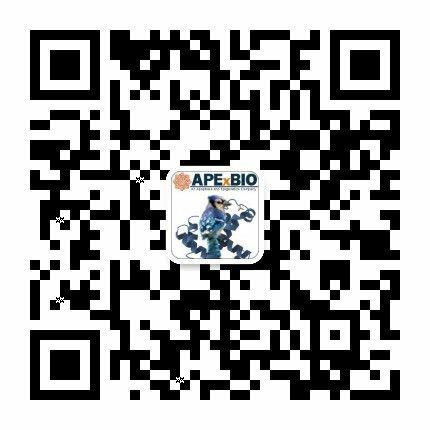 PKI-587 and sorafenib alone and in combination on inhibition of liver cancer stem cell proliferation. J Surg Res. 2013 Nov;185(1):225-30. doi: 10.1016/j.jss.2013.05.016. Epub 2013 May 25. 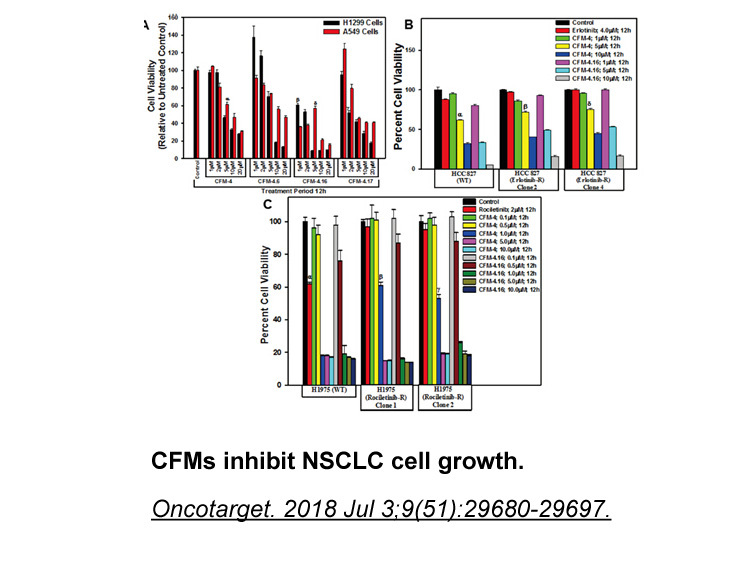 The anti-proliferation induced by dual inhibition of PI3 K/Akt/mTOR signaling pathways and Ras/Raf/mitogen-activated protein kinase, which are associated with HCC proliferation, has been evaluated in non-liver cancer stem cell lines and LCSC lines respectively. 2. Alternative formulations of sorafenib for use in children. Pediatr Blood Cancer. 2013 Oct;60(10):1642-6. doi: 10.1002/pbc.24619. Epub 2013 Jun 20. 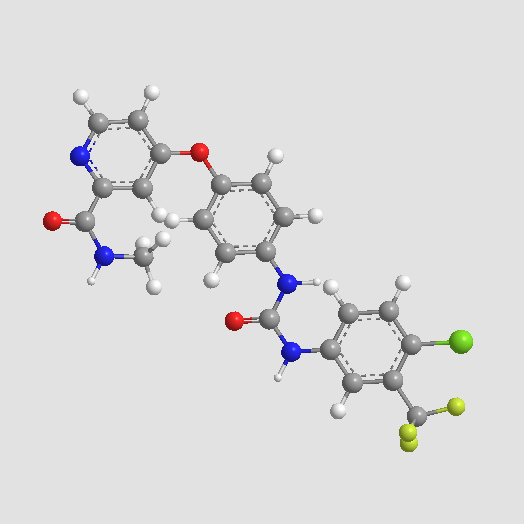 Since the 200 mg tablet of sorafenib, a multikinase inhibitor with antiangiogenic and antitumor activity, is not suitable for children, extemporaneously prepared smaller-dosage of sorafenib has been investigated for stability and pharmacokinetic profile in children. 3. Sorafenib prolongs liver regeneration after hepatic resection in rats. J Surg Res. 2013 Oct;184(2):847-54. doi: 10.1016/j.jss.2013.04.062. Epub 2013 May 18. 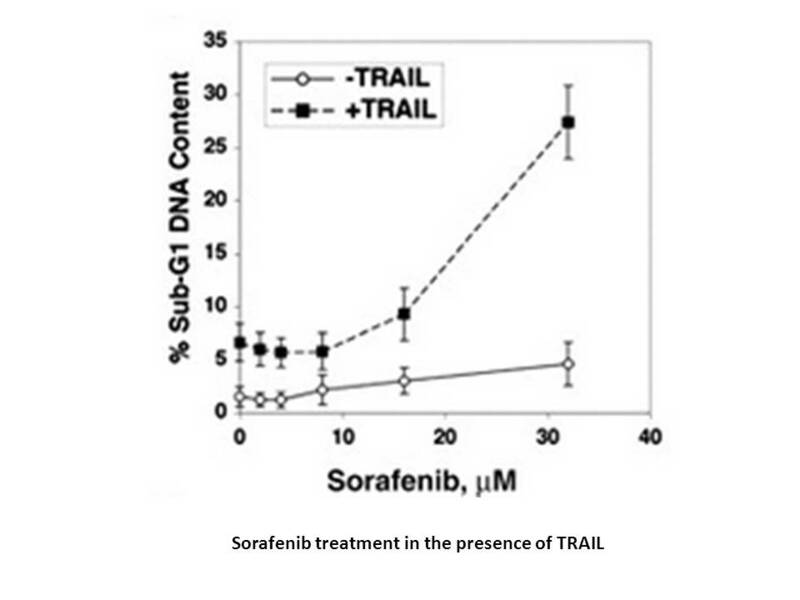 Sorafenib is a multikinase inhibitor that exhibits antiangiogenic and antiproliferative activity and targets signaling pathways involved in liver regeneration. 4. Iron-dependent cell death of hepatocellular carcinoma cells exposed to sorafenib. Int J Cancer. 2013 Oct 1;133(7):1732-42. doi: 10.1002/ijc.28159. Epub 2013 Apr 8. 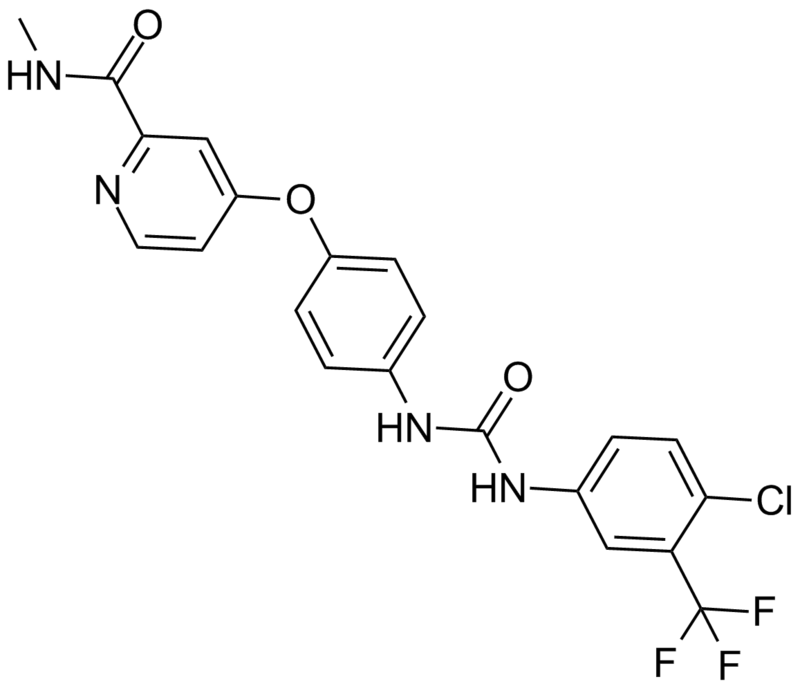 Sorafenib is a multikinase inhibitor that exerts cytotoxic effects on HCC cells through inducing ferroptosis, a iron-dependent and oxidative stress-associated cell death. 5. Hand-foot skin reaction is associated with the clinical outcome in patients with metastatic renal cell carcinoma treated with sorafenib. Jpn J Clin Oncol. 2013 Oct;43(10):1023-9. doi: 10.1093/jjco/hyt110. Epub 2013 Aug 15. The association between the Hand-Foot skin reaction and the clinical outcome in metastatic renal cell carcinoma patients treated with sorafenib were retrospectively examined.